Announced at the Apple Event in September 2016, the Pokémon GO app for the Apple Watch is one that works in tandem with the game on iOS. This app will work as part of the Workout feature on the Apple Watch. Activate the feature and it shows you your current level and EXP progress. 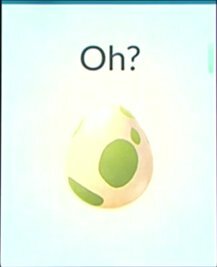 Then, as you walk, it will count calories you burn and distance you travel, and it'll also show you your egg data on the screen, showing how many eggs you have and how long until they hatch. 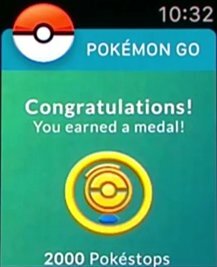 You can also receive medals during the workout. When you end your "Workout", then you will get a summary of everything you have collected and distance travelled. 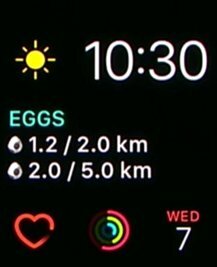 The game tracks your GPS so requires an Apple Watch Series 1 or later in order to work, which also means you don't need to have the game open on your phone in order to play. When a Pokémon, or a PokéStop is within the standard radius in the game, the features will activate just like with the Pokémon GO Plus. PokéStops can be detected within Pokémon GO for Apple Watch and are activated much like the standard game, by spinning them on your watch. You will see the items you get as well as the details on what the PokéStop is, so you can read all about any interesting landmarks without reaching for your phone. 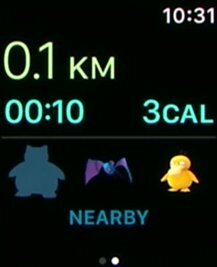 When you play with Pokémon GO for Apple Watch, on the screen you will see the three closest nearby Pokémon, much like you do in the bottom right hand corner of the full game. 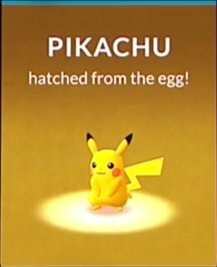 This will show which Pokémon are near and even help you narrow them down. 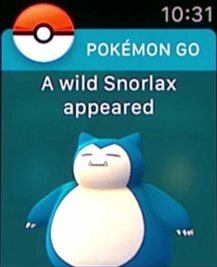 When you become within the range for a Pokémon to appear, you will get a notification saying that the wild Pokémon has appeared. 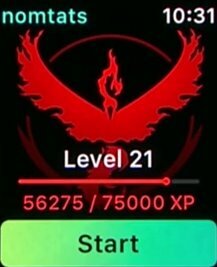 Unfortunately, you will be unable to capture the Pokémon using Pokémon GO for Apple Watch so you would need to open the game up on your phone to be able to capture it. 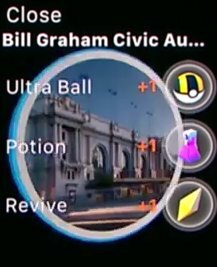 The Pokémon GO for Apple Watch app shares some similarities in concept to the Pokémon GO Plus peripheral. However, there are various things that each option can do that the other can't so depending on how you play.